Come. Look. Breathe. 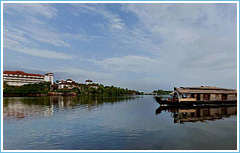 Experience the unique sensation of being surrounded by lush tropical trees, soothing breezes and tranquil waterways. Leave your worries behind. 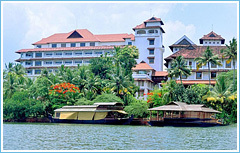 You are at the The Raviz Kollam Resort. Namaste. 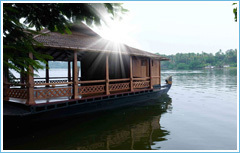 In between the beauty of tradition and all the amenities of contemporary life, The Raviz Kollam Resort blends the best of past and present to welcome you to a truly memorable stay. 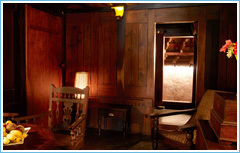 From 150-year old villas to luxury suites The Raviz Kollam Resort offers something for everyone. Make your room your own temple. Relax body, mind and soul while gazing at the sea or the calm lake waters from the beautifully designed contemporary suites. 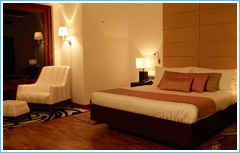 All the rooms are equipped with the amenities to make your stay truly relaxing. Travelling on holidays or business; leave the stress and concerns of everyday life at home. 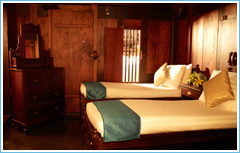 The friendly and highly trained team takes care of every detail so that the guests may truly enjoy their stay. Do you have to get your nails done for that special dinner or need to find someone who can babysit your children for the evenings? Consider it done! 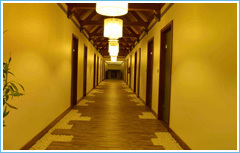 The multilingual and friendly staff will be there for all your inquiries and to assist you at every turn. 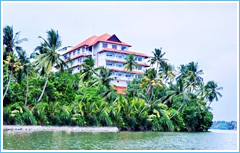 The Raviz Kollam Resort provides concierge service, car service from the airport, a fun kids’ area specially designed for the little guests and all the facilities for a relaxing stay at the home away from home. Embark on a gastronomic journey, where the past infuses with present in the most delicious way. Enjoy the taste of traditional Indian cuisine and modern Asian Pacific flavors from the 5-star chefs. This adventure starts with a relaxing drink at the Zirkon Lounge or with love at first bite at one of their gourmet restaurants. Ayurveda means knowledge of the body, mind, and soul. Discover all the luxurious treatments only this ancient Indian medicine can provide at the VEDA Spa. Enjoy a body or face massage that will relax you to never ending bliss, or indulge yourself with a range of beauty treatments. The natural products and ancient techniques will make you feel sublime and healthy inside and out.